Implementing a new registration system successfully takes a great deal of preparation and planning, and part of that plan should cover helping staff deal with change. Some staff may be excited about the change. Most others will be supportive, yet anxious, and will follow along. But a small few, or possibly only one, will be highly reluctant to the change. Even worse, they may be silently reluctant. This is the reason to prepare for “The Sabotage Factor”. The word sabotage creates images of devious spies working behind the action in war and suspense movies. That may be a romantic look at sabotage, but does not reduce the adverse effect sabotage could have on plans to implement a new registration system. Sabotage can make your implementation more difficult, slow down the implementation, or even bring implementation to a standstill. The saboteur may not be entirely intent bringing everything to crashing halt. They could be just trying to maintain some control over their work environment and feel the need to protect their job in the process. 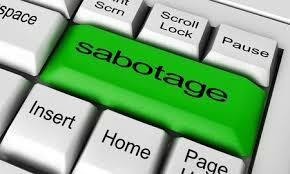 The reasons for sabotage could be a lengthy study itself. So for now, let’s review some things to look for and recognize the possibility of sabotage. Information is withheld or delayed until an opportune time. Registrations and customer payments are stashed in a desk drawer and recorded over a stretched out period time. Actions that help the staff member maintain some control over the process. The software application appears to have excessive errors by only one or very few users. Equipment seems to fail often enough to prevent a user from using the software application. Despite training and follow-up, certain issues seem to repeat as if the process is too difficult to learn. 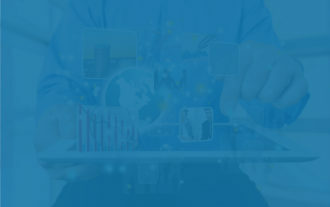 The user consistently complains about performance, work load, time availability, or other work related issues but never has a recommended solution that includes the changes in process. Instead, solutions mostly entail returning back to prior methods. This is especially true when there seems to be only one person involved. A staff member starts recruiting other staff to join along with them. This saboteur knows that the more people who follow along will improve the chances of winning. At the very least, it undermines leadership’s efforts and authority to move forward and make improvements. Sabotage can make your implementation more difficult, slow down the implementation, or even bring implementation to a standstill. Planning ahead can greatly reduce or eliminate the sabotage factor. With just a few additional elements added to the implementation plan, the persons responsible for carrying out the plan can disarm the saboteur and hopefully bring them along on the journey with the rest of the staff. Be open at the start that you want all staff to join in on the process. Ask them to voice their commitment, not just their support. Inquire from them if they understand the importance to the plan’s success. Obtain input from staff how to handle issues that may arise during the implementation plan, including how to deal with naysayers. Record and maintain as much information as necessary before, during and after the implementation process. There are very few fallacies in this world that survive facts and documented back up. This is especially true when the issues are more anecdotal than they are measurable. Plain and simple, keep a paper trail. However, in this age, a digital trail. Just knowing that leadership knows what is going on goes a long way in relieving the anxiety related to implementing change. Communicate with staff often and consistently. Inquire about the strengths and weaknesses of the process. Congratulate them for all the strong, positive comments, and discuss plans for the weak areas. When sabotage seems to surface, handle it quickly. Letting it linger may build momentum, and others may join the protest. Involving the culprit in the solution can dramatically reduce any negative effects and lets them ride the success train with everyone else.